If refurbishing interiors and talking about the decor is one of your favourite things-to-do then you must check out the latest collections at the newly opened OMA Living store at M.G. Road, New Delhi. Recently, we are invited by the Founder/ CMD of the brand, Charu Munjal, for an exclusive walk through the store and we couldn’t help but admire the beautiful range that has been curated from all across the world. And, for those who love scented candles, there’s an exclusive section dedicated just for that with all kinds of fragrances and designs. The name OMA living is derived from the word ‘om’, and the founder revealed that since its establishment in 2007, the brand has catered to a pan-India audience from the previous10 stores in Delhi, Mumbai, Bangalore, Hyderabad, Chennai, and Chandigarh. The décor brand from Hero Motors has products in 8 different categories namely Décor, Furniture, Table Top & Bar, Outdoor and Wall Art. The best thing about the new 10,000 sq.ft. 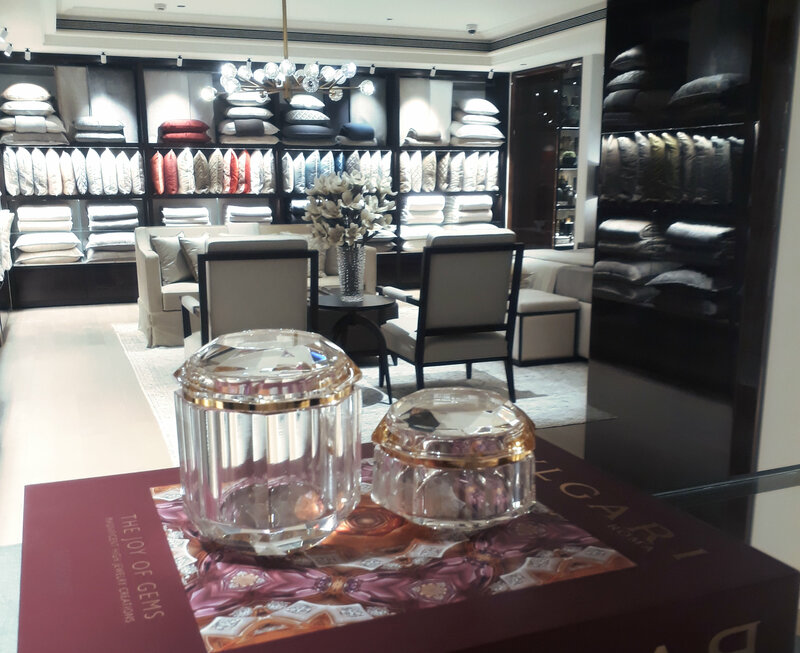 flagship store is that you will not get bored of admiring the beautiful objects, accessories, sculptures, and botanicals available from various high-end brands. One can also find an exclusive selection of the world’s finest lifestyle brands such as Addison Ross, Peugeot, Schott Zwiesel, Murano, Swissmar & Aquiesse among many others at OMA living. If you are wondering why we can’t stop raving about the store, we take you through a quick clip to give you an idea of the luxe living at OMA store.